Indian cuisine offers a variety of spices that tingle not only your taste buds, but also impact health positively. Black pepper, which can turn dull dishes into lip-smacking, can help you shed weight. Black pepper is loaded with Vitamins A, C, and K, minerals, healthy fatty acids and works as a natural metabolic booster which makes it a storehouse of uncountable health benefits, including weight loss. It also contains piperine. Adding up a little of it in your meal burns calories after eating for hours, prevents the creation of new fat cells and suppresses fat accumulation. 1. Gulp or chew pepper directly: Those who can tolerate the burning hot flavour of black pepper can consume 1-2 peppercorns directly every morning. This will rev up your metabolism. 2. 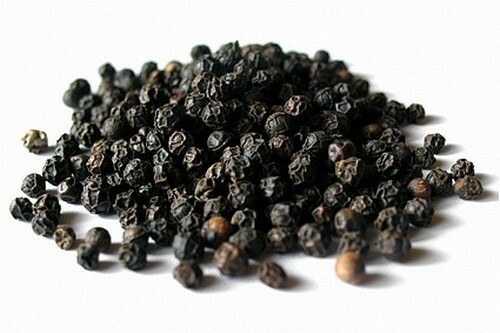 Drink black pepper tea: Add a dash of freshly ground black pepper in tea. 3. Sprinkle it over fruit and vegetable salad: Use black pepper as a seasoning and simply sprinkle it over your favourite salad. This not only adds an extra flavour to your plate but also aids in weight loss. 4. Add it your everyday beverage: A pinch of black pepper powder over a buttermilk recipe or summer refreshing masala-mint-lemonade goes a long way in not only shredding extra pounds, but also for a healthy gut and immunity. 5. Black pepper oil: Add a drop of 100 per cent pure black pepper oil in a glass of plain water and consume it before breakfast or else using it as a salad dressing is another option. 6. Pepper prevents new fat cells from forming: Pepper helps in reducing fatty acids, triglycerides, phospholipids and Cholesterol level in the plasma and lipid profile. It also helps in elevating the good cholesterol and reducing the formation of new fat cells in the body.